LookLocalWA's Perth directory puts you in touch with Doors / Windows specialists near you. If you’re moving into your new home or renovating your current home, adding in new doors and windows to an existing or new living space can help modernise an improve the look of an area. Changing your doors and windows may be that last thing that you do to help update the look of your home, or adding them to an area can help block out noise or create a new space. So how do you find the right doors and windows for your new home and who can help you install them? If you require new doors and windows - Perth in your newly built home or established home then your local tradesperson can help. You can choose to purchase the doors and windows already from a local DIY or tradesperson store and have a professional tradesperson then Install them for you, or you can choose to select your doors and windows through the selection provided by your local tradesperson who will then outsource the doors and windows for you and install your doors and windows - Perth. 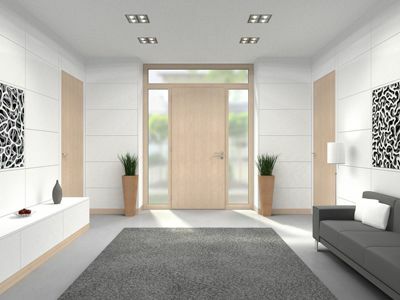 Choosing the right colour door for your room can be tricky, which is why it’s best to seek advice from the tradespeople that install them on a daily basis. They’ll know exactly what colour will compliment your room colour or existing room style. Contact your local tradesperson to help install doors and windows - Perth in your home or office. Are you a tradesperson? Get your business listed on LookLocalWA today! The team at KNA Security is dedicated to protecting you and your home with a range of products to suit your security needs. They also offers window tinting and protective film, Alarms, CCTV and more. The business is licensed by the WA Police and services areas between Perth and Lancelin. For an obligation free measure and quote, contact them today. Is your Sliding Door Hard to open? Call Now to have your Sliding Door repaired & serviced safely with genuine parts. Free Quotes & 12 month warranty provided. Installation of Deadlocks & Window Locks. Remember when the phrase &apos;safe as houses&apos; meant something? So do we! Since 1969 Ali-Craft in Bayswater, WA has been committed to helping you feel safe in your home. We are a Western Australian wholesaler that can provide security products for tradesmen, owners, builders and retail. Ali-Craft can manufacture, supply and install a myriad of security doors and screens in a great range of colours and styles, so that your home is safe while still looking great. Trust the most professional team at Ali-Craft for everything to do with security doors in WA. We also have a great range of security product accessories, and can custom make security doors to suit your needs. Smooth Sliding Doors gives Prompt, Efficient, Honest & Polite service with reasonable rates. All team members have Police clearance & a 6 month warranty is provided to give you “peace of mind”. With over 300 lines of product carried in stock including rollers, carriages, locks, latches, slides, guides and cover tracks, many different brands of doors can be repaired on the spot including Jason, Dowell, Stegbar, Affinity & many more. We also replace sash balances, chain winders, and can install internal sliding wooden doors. Installation of glass sliding and security doors can be organised by us if required. This service would be invaluable to you if you are contemplating selling, renovating an investment property or would just like to improve the comfort and security of your home. If we cannot repair your doors or windows, then we do not charge a call out. With 14 years experience under our belt & over 5000 customers served, we can assess your doors and fix a price before we start any work. We cover all of Perth from Two Rocks down to Mandurah, including Ellenbrook, South Perth, Midland, Gosnells and Armadale. We&apos;ve even done work out in the Hills in the past.